Another stirring quote from Peter Block, from a chapter titled The Stuck Community. 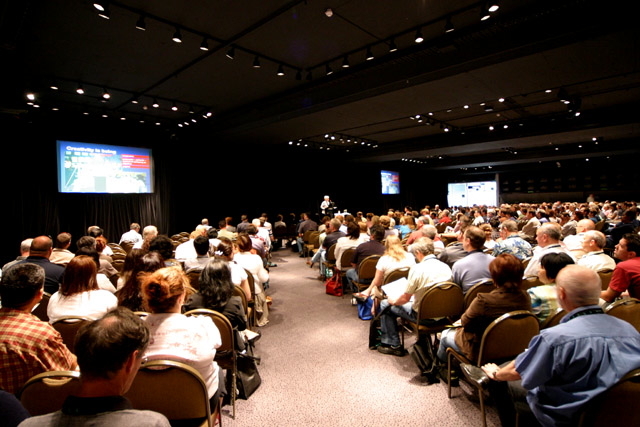 Change citizens to conference attendees and you have a good description of what continues to happen at traditional conferences, where attendees listen to session leaders, rather than collectively reaping the benefits of co-creating an event and associated community. This entry was posted on Sunday, February 6th, 2011 at 10:45 pm	and is filed under Event design. You can follow any responses to this entry through the RSS 2.0 feed.You can leave a response, or trackback from your own site.